This product typically ships in 10 business days when in stock. We will send you an email with availability and estimated ship date of your order. 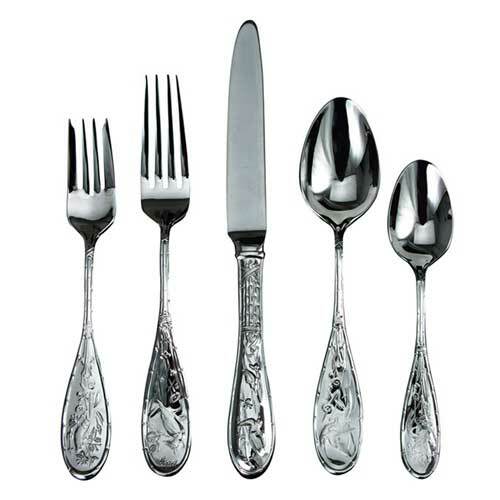 Includes Place Fork, Salad Fork, Place Knife, Place Spoon & Teaspoon. 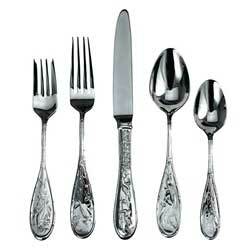 Includes serving spoon, serving fork, gravy ladle, butter spreader & sugar spoon.